Zach Callison on the Sounds and Stories Behind His New Music | YAYOMG! 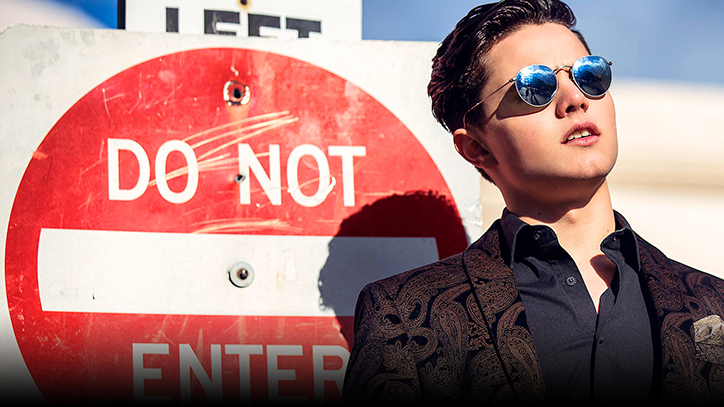 You likely know Zach Callison as the voice of the ever-optimistic curly haired kid named Steven Universe, but there’s so much more to him than meets the eye. Zach started acting at age 7 and grew up lending his vocal talents to Steven Universe, but now that he’s 20 years old, he’s been taking on many more acting roles (Just Add Magic, The Goldbergs), and is about to drop his first EP, A Picture Perfect Hollywood Heartbreak later this year. The album is an energetic rock-opera of sorts, revealing the story of some of Zach’s personal experiences and struggles paired with some seriously amazing vocals and instrumental stylings. It’s moody, it’s deep, and from what we’ve heard so far, it’s a lot of fun! Zach’s first two singles, War! and Curtain Call are already released and they’re so distinct and unique we just had to get to know this more personal side of Zach. You can stream them both on Spotify. What shines through most in our conversation with Zach is how incredibly passionate, hardworking, and driven he is. We’re hoping his story inspires our YAYOMG! readers to follow their dreams as much as he inspired us. 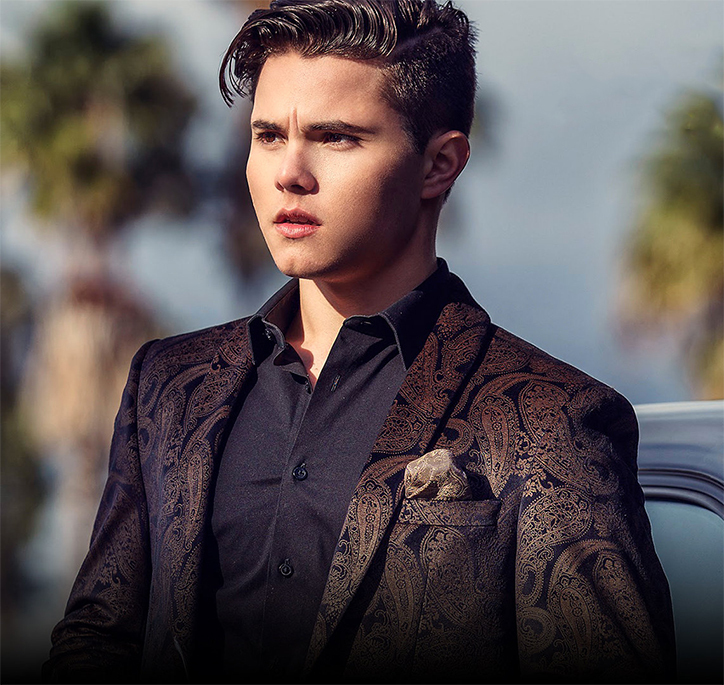 Get to know Zach Callison as he chats about bringing his EP to life, growing up in Hollywood, and more! Curtain Call is the second track you’ve released off your EP, A Picture Perfect Hollywood Heartbreak and seems to tell another piece of the story you’re weaving with your music. Can you share a little about the song and the story behind it? ZACH CALLISON: Curtain Call is another chapter in the full story of A Picture Perfect Hollywood Heartbreak, and actually precedes War! in the story. It’s a song meant to represent both soaring highs and rock bottom, to contrast between two “characters” I played at a low point in my life. The EP is designed from the ground up as a continuous story, almost becoming a short alt-style musical in the process. These two “characters” I mentioned are part of a cast that includes the now-infamous Juanita that I grapple with on “War!”, as well as another person that’s yet to be revealed. I can’t share too much more of the narrative aspect as that’s the mystery of the record, but I can say definitively that Curtain Call plays a more important role than in that story than almost any other track. We’re loving how both War and Curtain Call blend elements from so many different styles of music. It’s very unique! Tell us a little about finding the right sound for your music. 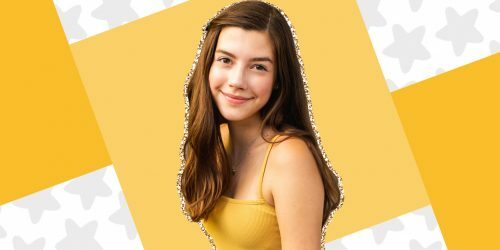 ZACH: You never really find it completely, in my opinion. I’m already working on music to release beyond this EP and those tracks have gone in completely new directions; an artist’s sound is rarely concrete, at least in my experience. For this project I started with what I knew best from my past: bluesy, distorted alt-rock that I grew up on. From there, my musical theater past, my love for modern alt-pop, and my recently found admiration for hip-hop all weaved their way into the fabric of the EP at some point or another. If you had to describe your EP in one word, what would it be? ZACH: My all-time favorite act is Muse, and their influence is most prevalent on Curtain Call than any other track I’ve done so far I think. Twenty One Pilots, Kendrick Lamar, Lin-Manuel Miranda, Hiatus Kaiyote, Nero and even Death Grips all had some sort of influence on this EP, some more than others. My “inner circle” of artists that I always return to feel like my cult of confidence whenever I’m breaking ground on something new. Will you be hitting the road to tour and promote your music? ZACH: Major news is coming soon on this front! Two huge LA shows and dates around the country to be announced in the near future. Do you play any instruments or are there any you’re hoping to learn? ZACH: I’m a keyboard player in addition to the vocals, which is what I’ve written everything on so far. I’ve always wished that I played guitar given how much rock sound is in my stuff, but my four or five attempts to take lessons never materialized into anything…probably just a lack of time. More than anything I want to be a little more proficient with producing from my home studio; right now I’m in the process of completely overhauling my gear and plugin setup so I can do more on my own. What is something you’ve learned while working on your EP? ZACH: I don’t think it’s a hyperbole to say I learned everything. Writing demos for this project was my first real foray into songwriting, and producing the tracks was the first time I’d ever properly been behind the computer for music production. I’ve always done music in some way through singing for some of my TV work and playing in cover bands, but the past three years have been nothing but note-taking and soaking in as much information from my producers as possible. In addition, I’ve learned a great deal about the music business…it’s far more dog-eat-dog than the world of actors, and that’s been an adjustment. In order to make things happen, I’ve had to take more business action on my own, rather than wait for an agent to send me an audition or other opportunities. As of now, I’m still an independent artist that’s managing my own team, Hollywood experience or not. I suppose the most important thing the past three years have taught me is the definition of hustle. How has working on your own music been different than some of the music you’ve done for Steven Universe? 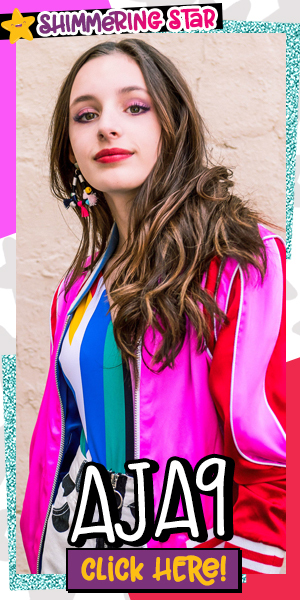 ZACH: As much as I love singing for Steven Universe, it’s always very brief…each song takes an hour or two to record, and then I don’t hear it again for over a year. Occasionally we get an incredible opportunity to sing them live like we did at San Diego Comic-Con 2016, but ultimately they’re our character’s songs, not ours. All at once, I needed something that could scratch my new creative itch for making music, help me cope with a heartbreak and a tumultuous coming-of-age, and shift my image in the eyes of the people who consume my work. No easy task, and as such, doing my own music has required much more time and personal reflection than anything else I’ve ever done. Not to discount how emotional the Steven Universe songs can get…it’s one of my proudest achievements to be a recording artist on our soundtrack album. ZACH: On a lighter note, I’m cripplingly obsessed with baseball. I’m a die-hard St. Louis Cardinals fan, and following the league is my go-to escapism. In some way, I think this EP is going to be illuminating for the fans about what my life has been like under the surface and away from the public eye over the past few years. Growing up and entering adulthood in Hollywood as a kid in the business is incredibly thrilling, unstable, and dangerous. I have witnessed and been a part of so many things that fall into the category of the bizarre and unbelievable; I know for a fact that these things make up a fascinating story worth telling. The way the world knows me now is, I feel, incomplete without these things. I aim to change that, but it requires an exceptional amount of care because of the nature of my other work, and the explicit nature of what goes on in this city. What advice do you have for kids and teens out there with musical dreams like yours? ZACH: You’re a creator, so CREATE! Do something for your craft every day, whatever it may be for you. Even over a decade later, I still catch myself trying to take “zero-days”, where I don’t do anything to further myself as an artist. Start to get into the habit of catching yourself when you do this, and start NOW if it’s really what you love to do. All the opportunities you’re hoping for will start to present themselves if you make your skills your priority. 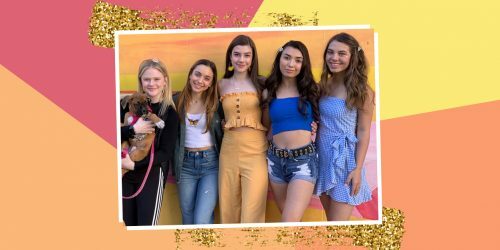 If you liked getting to know Zach Callison, get to know his Just Add Magic co-stars Olivia Sanabia, Abby Donnelly, Aubrey Miller, and Laya DeLeon Hayes!